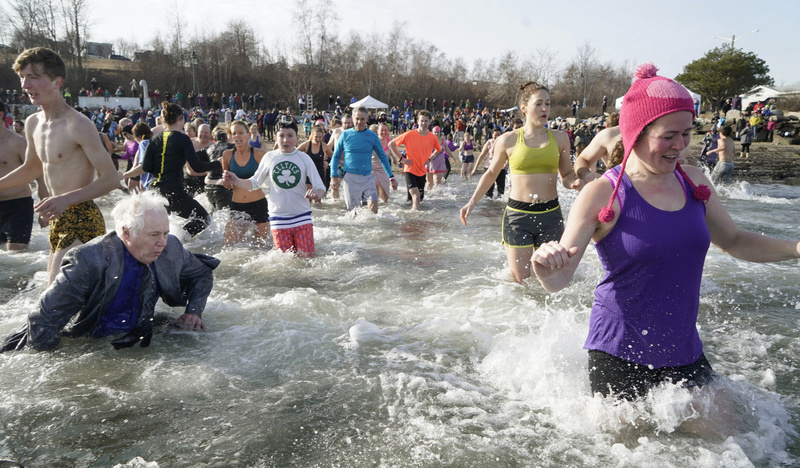 People run into the water off East End Beach in Portland on Monday, December 31, 2018 for a Polar Dip held by the Natural Resources Council of Maine. 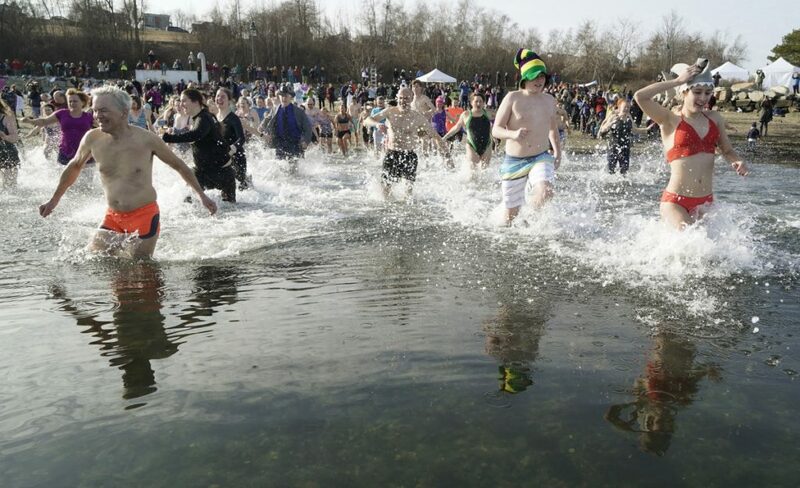 About 250 people participated in the Polar Dip and Dash, raising more than $25,000 for the organization's work to fight climate change. 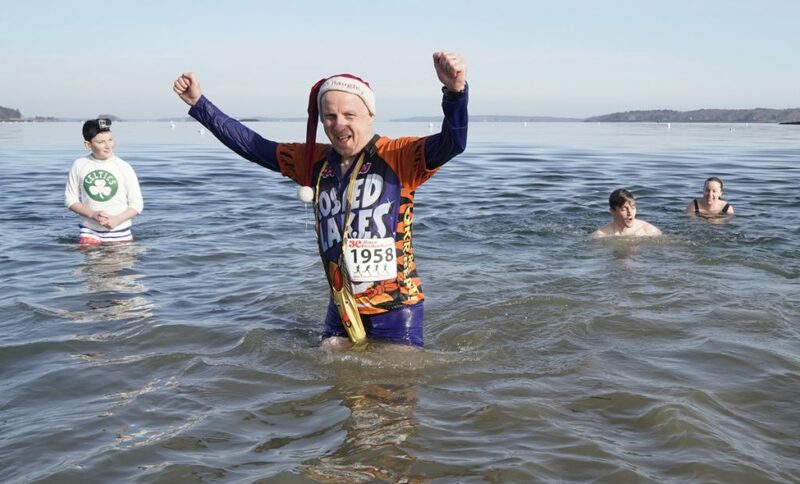 About 250 people participated in the Polar Dip & Dash, raising more than $25,000 for the organization's work to fight climate change. 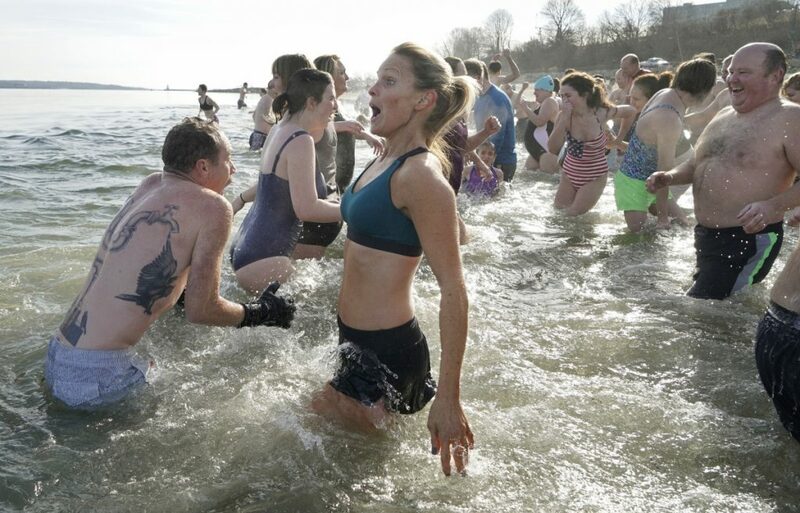 Marsie Collins of Portland reacts as she runs into the water off East End Beach in Portland on Monday. 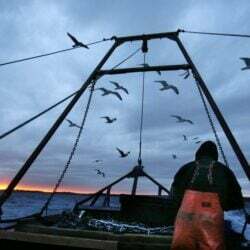  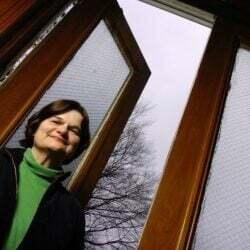 The Polar Dip & Dash was sponsored by the Natural Resources Council of Maine. 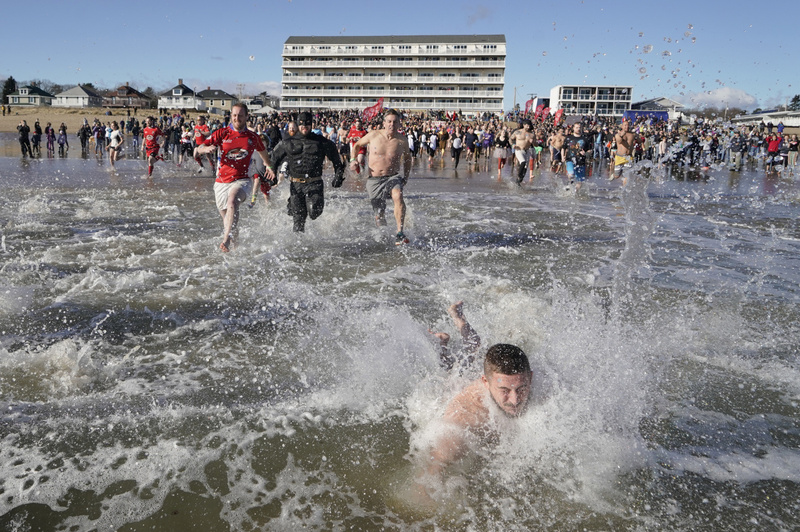 People run into the water off East End Beach in Portland on Monday for the Polar Dip & Dash. A participant in Polar Dip & Dash emerges from the water off East End Beach on Monday. 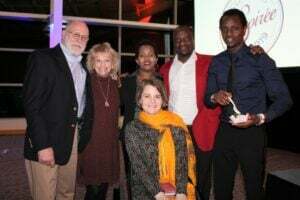 This year, 270 people took part in the Lobster Dip, raising over $100,000 for Special Olympics Maine. 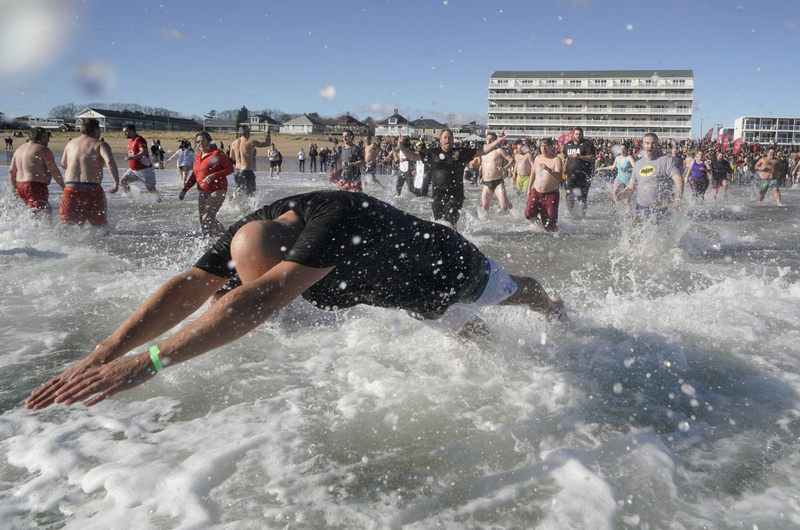 A Lobster Dip 2019 participant dives into the water in Old Orchard Beach on Tuesday. A Lobster Dip 2019 participant emerges from the water in Old Orchard Beach on Tuesday. 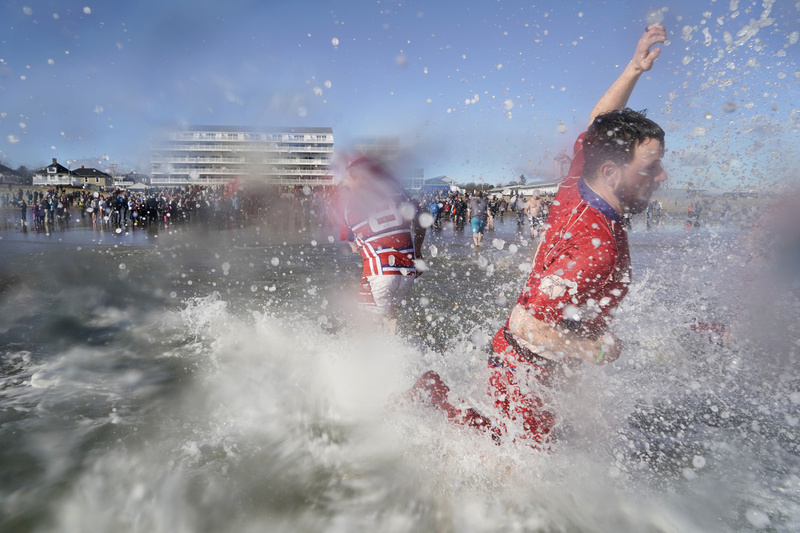 People run into the water in Old Orchard Beach on Tuesday. A member of the Portland Rugby Football Club jumps into the water during Lobster Dip 2019 in Old Orchard Beach on Tuesday. 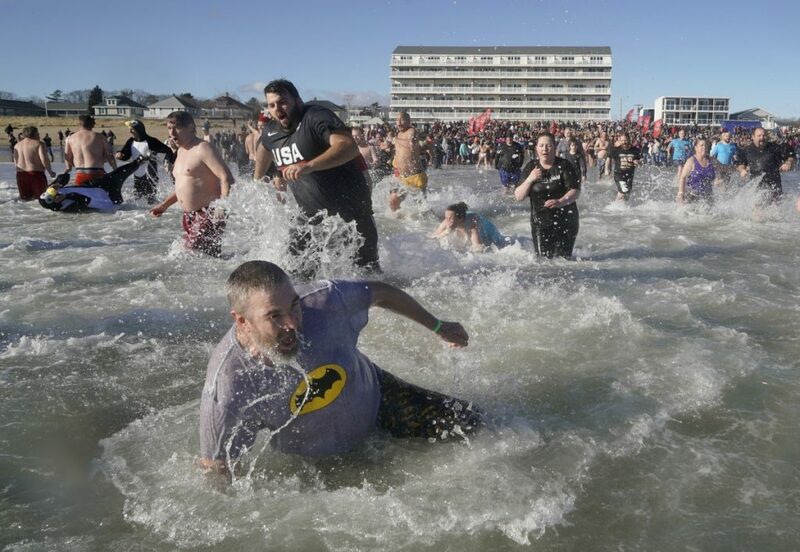 Lobster Dip participants run into the water in Old Orchard Beach on Tuesday. The dip was started by the Portland Rugby Club in 1988. 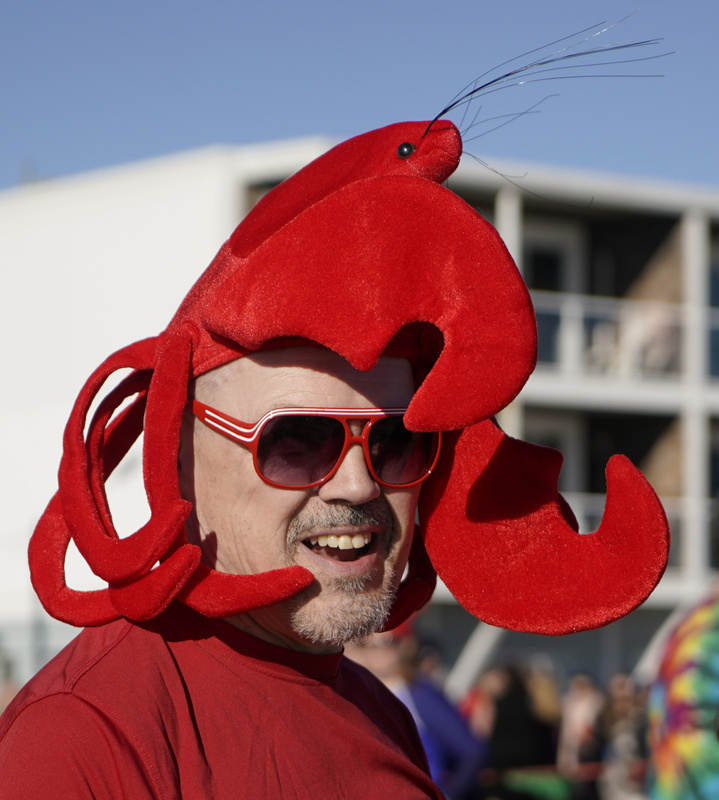 Peter Lyons of Gorham sports a lobster hat while waiting to participate in Lobster Dip 2019 at Old Orchard Beach on Tuesday. 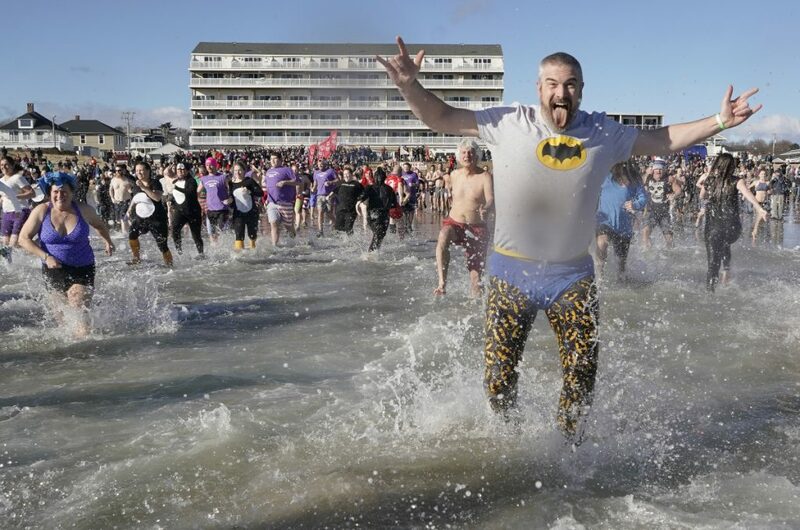 He has been taking part in the dip for five years with a group called the Red Hot Chili Dippers.